Welcome to our home. Now, let's find yours. Clark originally hails from the greater Philadelphia area, and now calls the city home after many years of traveling and working around the globe. He has found Philly to be the perfect place to continue to pursue his passions in real estate, art, architecture and history. 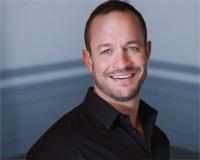 Clark is experienced working with a broad range of clients from first time home buyers to seasoned investors. With extensive contacts and experience in South Florida, he also specializes in out-of-state investment properties, winter homes and relocation. Clark devotes his full attention to his clients, strives for all transactions to be a smooth as possible, and won’t rest until he ensures his clients attain their real estate goals.